Apart from its iconic design and a wide range of devices, what makes Samsung Galaxy unique is its user interface. To give a different taste of Android, Samsung released TouchWiz and has improved the experience with each instalment. However, for those of you who want the quality of Samsung and the interface of pure Android, you need to know how to disable TouchWiz on Samsung Galaxy. When you need to disable TouchWiz Launcher, your best bet is to either install a third-party launcher app on your Samsung Galaxy. Although you can also root your device and install a custom ROM to get rid of TouchWiz, it will void your warranty. To disable TouchWiz without rooting your Samsung Galaxy, simply head over to the Google Play Store and search for a third-party launcher. The Play Store is packed with dozens of launchers like Nova Launcher, Apex Launcher, and most importantly, Google Now Launcher. While Nova and Apex both offer a highly customizable Android UI, you would definitely want to go for Google Now to get the pure and unaltered Android experience. 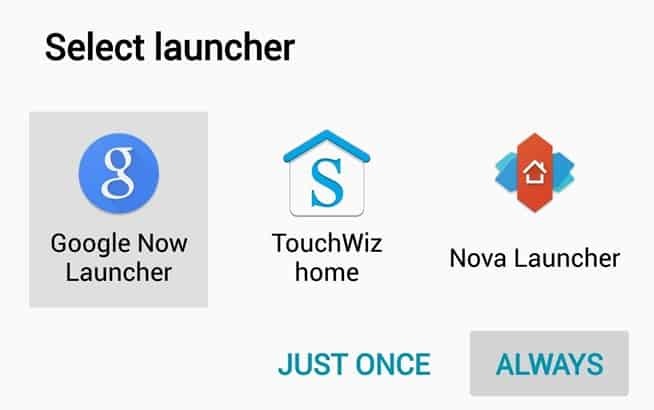 Once you have downloaded Google Now Launcher or any other launcher on your device, press the home button and you will be prompted to select the launcher. The “Select Launcher” window will ask you to choose between Google Now Launcher (or the other launcher) and TouchWiz home. Press the Google Now Launcher or the launcher you want to select and press “Always” on the window to disable TouchWiz on Samsung Galaxy. Once you have selected Google Now, your homescreen will be completely revamped to show the clean Android user interface. Similar to stock Google Android devices like Nexus and Motorola, you will now be able to see “OK Google” search bar at the top and Google Now page built right into the homescreen. 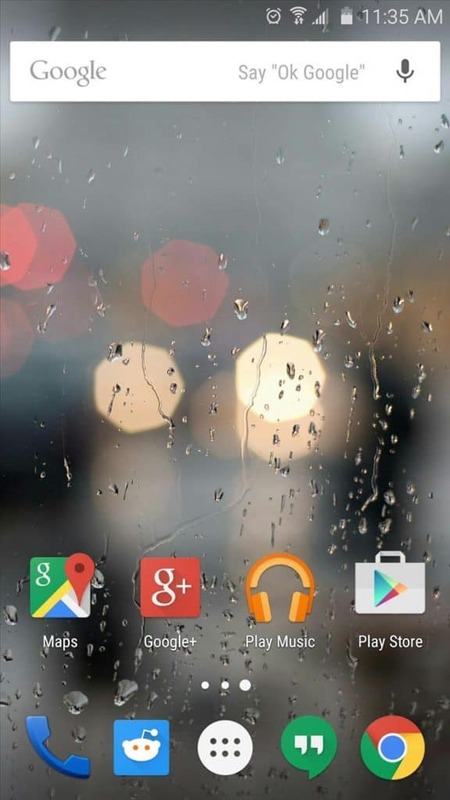 Note: Google Now Launcher does not change the icons on your Samsung Galaxy device. If you want to change an ugly app icon on Android, check out the guide here. You can also create your own custom icons on Android with this useful guide here. Don’t you think that it’s about time there was an official method on how to disable TouchWiz on Samsung Galaxy directly from the Settings? Let us know your opinion on the key differences between Google Now Launcher and TouchWiz, below in the comments.